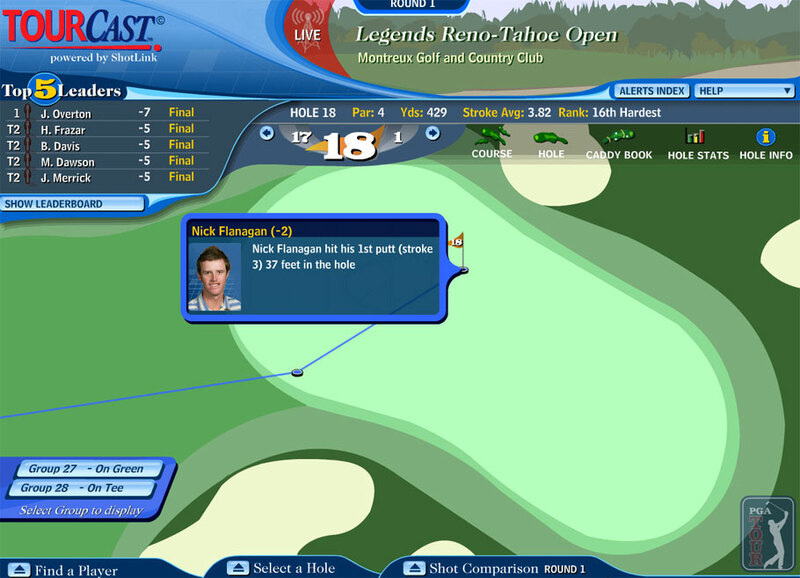 RENO, NV - Nick Flanagan sank a 37-foot birdie putt on the last hole to better Michelle Wie by one stroke. 96.1% of the picks went against Wie, who played surprisingly well making the turn at level par. Today's Preview: Once again, the Russian Premier League kicks the day off with Saturn Moscow receiving the draw. In the last Russian league matchup posted, 68% of users picked the game incorrectly; make sure you do your research! At 1:00 p.m. one of the top club teams in the Czech Republic, Sparta Prague, is the heavy favorite as they are considered the top team in the Czech Republic. A rare afternoon game on the west coast finds its way into the Streak with the Royals putting their 3 game win streak on the line against the A's in Oakland. Wednesday Night Baseball on ESPN provides two matchups for streakers, with the Cubs looking to sweep the Brewers as well as a prop featuring Ryan Dempster's earned run total against Corey Hart's total bases. In his two starts this year versus the Brewers, the Cubs pitcher is 2-0, and has a combined 4 earned runs while Hart is 0-for-6 lifetime against Dempster. Best Bets: Sparta Prague, Athletics, Indians, and Los Angeles Dodgers. Yesterday's Notes: Yet another tough day streaking with the overall winning PCT checking in at a sub-par 45.5%. The day's most selected loser award goes to the Toronto Blue Jays, while the Arizona Diamondbacks were the most selected winning pick. Leaderboard still stuck with a streak of 7. Today's Preview: Lots of matchups over different time slots that could end up as a 4-win day. The day marks the start of the UEFA Champions League second qualifying round. We selected two matchups kicking off in the morning with Partizan Belgrad of Serbia favored by a good amount over Inter Buku, a squad from yes, you guessed it Azerbaijan. In the afternoon matchup the Irish team Drogheda makes its streak debut and receives the draw vs. favored Dynamo Kiev from Ukraine. The ATP Tennis tournament in Cincinnati offers two early round matches between mostly even opponents. A few projected tight games are provided in the evening section along with a couple interesting props. Jays ace Roy Halladay took the loss in his last outing against the Rays with only six strikeouts. We have him matched up against the entire Rays pitching staff for most Ks. Also, Ryan Braun takes on Derrek Lee for most total bases. Braun is 4-for-12 with one HR in his career vs. Big Z, while Lee is 16-for46 with 6 HRs vs. Ben Sheets. Best bets: Janko Tipsarevic, Dynamo Kiev, Toronto Blue Jays, San Diego Padres. Yesterday's Notes: Another day of streak carnage, with the overall winning PCT checking in at an all-time worst 20.9%. All three of the most selected MLB games went the other way, headlined by the night's bigger loser - the Milwaukee Brewers. And include the Red Sox, Rays and A's losses and the leaderboard cleared out with the current leaders with a streak of 7. Today's Preview: Limited action on the board today with the only afternoon matchup taking place in Denmark between AC Horsens and AGF Aarhus (Danish Super League). Aarhus is listed as the underdog so we're giving them the draw side even though they're playing on their home ground. The evening features another game on ESPN TV at Fenway where Jered Weaver starts vs. Dice-K. Also in play is the first game of the important Cubs - Brewers series in Milwaukee for the NL Central lead. Unless one of the 7PM games ends in under 3 hours it looks like only two wins will be possible. Good luck! Best bets: AGF Aarhus, Boston Red Sox, Milwaukee Brewers. Yesterday's Notes: Solid overall winning PCT of 73.6% by aggregate picks. Biggest winners New York Mets, our gimme of the day Dinara Safina and the Boston Red Sox. Two-way tie atop the leaderboard with a streak of 9.